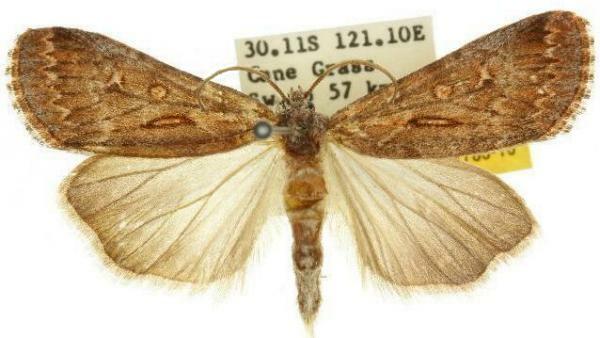 The wings of the adult moth each have a pattern of shades of brown, on each forewing. The hindwings are more uniformly brown, with dark veins and a darker margins. The wingspan is about 4 cms. Volume 8 (1909), p. 372, No. 4028, and also Plate 131, fig. 11. Volume 22 (1997), p. 16.